If you don’t want to simply rent a home, but don’t want to take out a mortgage, rent to own homes may be for you. 70 % of Americans still dream of owning a home in their lifetime. With the cost of living and the job market, it’s more difficult to save a down payment and apply for a mortgage. To gain a mortgage, you will need good credit and cash. Don’t have these things? Don’t worry; we can help! We will go over the details of rent to own homes and some factors to consider. Keep reading to learn more about how to finally find your dream home. Are You Interested in Rent to Own Homes? The rent-to-own agreement is where you can rent a home for a specific amount of time. Before the lease expires, you have the option to buy it. There is an option to buy and a standard lease agreement that make up a rent-to-own agreement. Let’s go over some factors to consider when looking at this option. It is a little more complicated than renting. 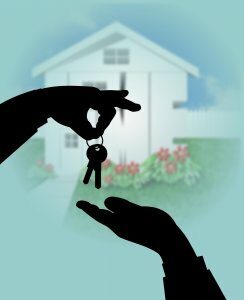 This guide will help you see if rent-to-own will be a good option for you. There are different kinds of contacts with rent to own homes. Some are more flexible and consumer-friendly than others. A lease-option contract will give you the right to buy the house, but you don’t have to. If you decide that you don’t want to buy the house, this option will expire. You can walk away without continuing to rent. Lease-purchase contracts are strict. You’re obligated to pay for the house at the end of the lease. A lease option provides you with more flexibility. Review any contract with a qualified real estate attorney. You want to know what you are signing. When you sign a rent-to-own agreement, you will pay the seller a nonrefundable one-time fee. It is called the option money, option consideration, or the option fee. By paying the one-time fee, you have the choice to buy the house someday in the future. An option fee can range between 2.5% and 7% of the price. Your agreement should state what the price is. Sometimes, you can negotiate with the seller and agree on a price before signing the contract. In other cases, you’ll confirm the price after the lease expires. The amount depends on the current house market. Find out what the price of the house is before you sign anything. It all depends on your contract. You may have to maintain your property and cover repair costs. Read the fine print of your contract and find out. Sellers are responsible for taxes and insurance. They will cover these costs. You will need to get a renter’s insurance policy that will cover losses to personal property. It will protect your family against accidental injury in the home. Find out your responsibilities when it comes to repair and maintenance requirements. Raking leaves, cleaning out the gutter, and mowing the lawn are easy tasks. Replacing a damaged roof is a more complex and expensive task. Consider having the home inspected and appraised. Determine that taxes are up to date before you sign anything. Depending on what contract you have, will determine what you do after your contract ends. With a lease-option agreement, you may decide you’d like to buy the property. You will need to get a down payment and mortgage to pay the seller. 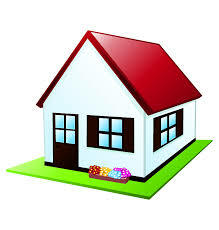 If you decide to not buy the house, you will move out of the house like any other renting situation. You will have to give up the money you have paid up to that point. The good thing is you won’t be under and obligation to buy the home or continue renting. If you have a lease-purchase contract, you will need to buy the property after the lease expires. If you can’t secure a mortgage, this will be difficult. Thus lease-option contacts are more popular s they allow the consumer more flexibility. It’s important to research before you buy a home. Make sure you choose the right terms before renting to own. Don’t sign a lease-purchase agreement unless you know this house is what you want. Hiring a real estate attorney will help you understand your obligations and rights. Your attorney will help you negotiate things or avoid a deal that is not right for you. Read your contract. Find out when there are deadlines and what amount of money is due when. See how much money of your rent payment goes towards the sale of the home. Have a professional come into the home and appraise it. You may want to have a copy of the property inspection and determine that the taxes are up to date. Also, make sure there aren’t any liens on the property. Another thing to research is the seller. Find out if they are reputable. Ask for a title report to find out how long the seller has owned the home. Finally, ask what the conditions are for you to lose your option to buy the property. If you are late on one rent payment, you could miss your chance at purchasing the home or renting. This agreement allows people to move into a house right away. It also gives you a chance to improve your credit score and save money before seeking a mortgage. This will give you the chance to live in a house. It is a great advantage for those who don’t have solid credit. You don’t have to worry about buying the house after the lease expires. You have more flexibility with rent to own houses. 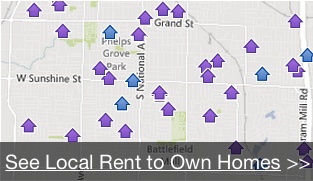 We hope you found this article helpful on rent to own homes. We know that this is one of the most significant decisions you may make in your life. Finding the right home and the right financial route is essential. Are you looking at renting a home to own in Utah? We would love to chat with you. Contact us today to learn more.